Daniel Ricciardo insists he is over the frustration of being stripped of his second place finish at the Australian Grand Prix and is now just keen to prove he can score a podium again. Ricciardo finished second on the track at the opening race of the season but on the Sunday evening was disqualified when it was found his Red Bull had exceeded the maximum fuel flow rate of 100kg/h, according to the FIA sensor fitted on his car. The team intends to appeal the decision, arguing the sensor is at fault and the car did not exceed a rate of 100kg/h, but Ricciardo said he is now over the initial disappointment of having his first podium taken away. "I've obviously had a bit of time to get over it, so I'm alright now," he said. "On Sunday evening it was a bit disappointing and obviously not the news you want to hear when you're trying to celebrate. Sunday night I had a bit of time to think and on Monday I had a few cameras in my face at the airport and that let me know about it. "I couldn't really escape it for 24 hours but after that I was home and did some good training, spending time with friends and family. I was staying occupied and not thinking about it too much more. If anything I took more positives out of the weekend than negatives." The FIA warned Red Bull that Ricciardo was in breach of regulations, but he said he did not know anything about it and trusts the team will not put him in the same position again. "I knew nothing about it. Obviously during the race we're doing the whole fuel-saving thing and the team is giving us information about how much to save during a lap, but nothing more than that. The approach for this weekend? I'm just going to hop in the car and drive, but obviously the team has been heavily involved in it for the last nine or ten days - or however long it's been - and I trust that they'll do what they need to do so as not to encounter this again." 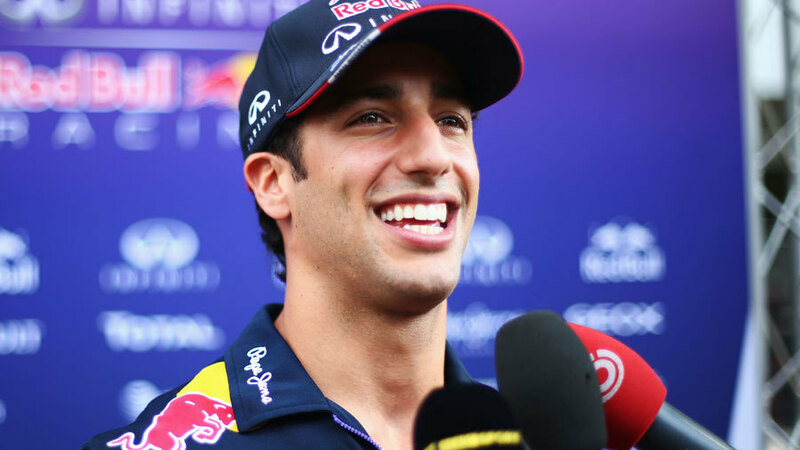 Even if the appeal is not successful, Ricciardo is keen to prove he is a title contender. "Just for me personally, I've proved I can race up the front. It's just to try to continue to keep doing it. I definitely don't want to be a one-hit wonder and whether we get the points back or not, there are still a lot of races to go and hopefully the points I get accumulate to a good position. There's still a lot going on for me and I'll try to get as many points as I can this weekend and hopefully keep them."